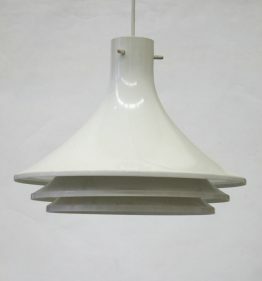 Large Hans Agne Jakobsson fifties wooden pendant lamp. 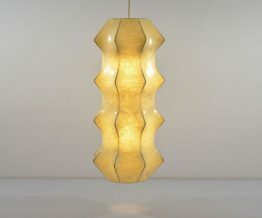 Hans-Agne Jakobsson a Swedish designer who started his own lamp company in 1951 manufacturing lamps from his own designs. Needs a new strip of cedar veneer on the bottom section. Dimensions: Height 37 cm, diameter 37 cm.